Heat oven to 400°F. In large bowl, mix apples and lemon juice. In small bowl, mix 1/2 cup sugar, the tapioca, cinnamon, salt and nutmeg. Add to apples; stir gently. Let stand 15 minutes. Place 1 pie crust in ungreased 9-inch glass pie plate. 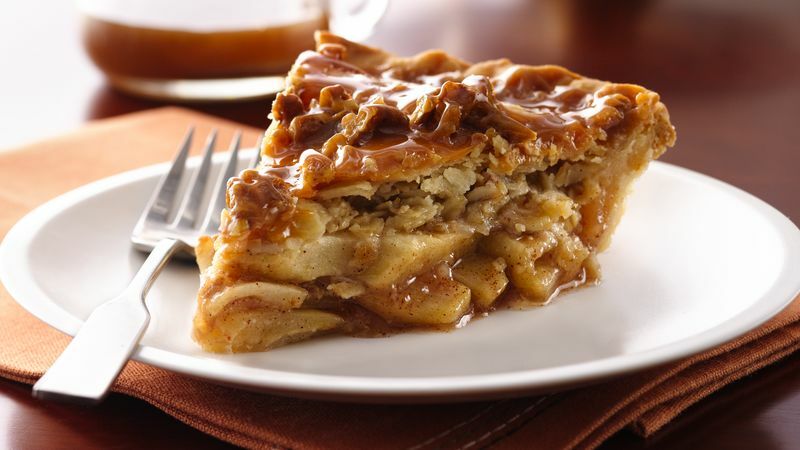 Pour apple mixture into pastry-lined pie plate. For a special presentation, drizzle caramel sauce in a zig-zag or circular pattern on each dessert plate before adding a slice of pie.